Last year, Pennsylvania became the fourth state to legalize online gambling. While online casinos have been operating at full throttle all over the world, the U.S. has almost been left behind. But given the vast market that the country presents for all sorts of businesses, it was only a matter of time for things to pick up. And as we’ve seen lately, they are. During the past few years, several significant things happened for the U.S. gambling industry. Three states legalized online gambling. They joined a shared liquidity pool soon after. The Supreme Court paved the way for states to allow sports betting. Now, nine Pennsylvania casinos are on track to offering online gambling. In this post, we are focusing on the last one. The change came as a way to help fill in the gap in the state’s budget. At the end of last year, the state of Pennsylvania passed legislation that opened the gates to online gambling. Now, a couple of months later, 9 out of the 13 casinos in Pennsylvania have already applied for licenses at the discounted price of $10 million. The permit grants the holder the right to offer online slots, poker and table games. Four casinos haven’t yet taken advantage of the offer, though it’s for sure whether they will given the imposed 54 percent tax on online slots and 16 percent on table games and online poker. The legislative move is among the state’s attempts to fix a hole in the budget without burdening the citizens with more taxation. The expected annual return for Pennsylvania’s treasury is $200 million. The move is quite logical given how prominent gambling is in Pennsylvania — the state ranks second after Nevada in annual revenue from the industry. And while right now, online gambling is only limited to players within the state’s borders, it is likely that soon Pennsylvania will join the shared liquidity pool that already consists of New Jersey, Nevada and Delaware — the only other states where online gambling is legal. After a legal battle starting in 2011, New Jersey legalized online gambling in 2013. Of course, the change didn’t come without restrictions. For a casino to offer online gambling in New Jersey, its servers must be located in Atlantic City. Furthermore, to play, players must be located within the state’s borders. New Jersey imposed a 15 percent tax on revenue coming from online gambling, and the legislation is in a trial run for 10 years, half of which has already expired. Still, it looks like it’s here to stay given that in 2017, casinos in New Jersey raked in $250 million from online gambling. How about Nevada? The state is only asking for $500 000 to issue an online gambling license and taxes online casino operators with as little as 6 percent. Nevada legalized online gambling in 2013 a little bit before New Jersey. But despite the state’s liberal gambling laws, it also imposed some limitations. Online gambling is limited to poker and sports betting and is only available to the state’s residents. In truth, Delaware was the first one to legalize online gambling. It did so in 2012, and a year later, it already had operating online casinos. In 2014, the state joined the shared liquidity pool along with Nevada and New Jersey. So, what does this change mean? For starters, the state will get a chance to fill in a long-term deficit without passing unpopular changes to the taxation system for citizens. 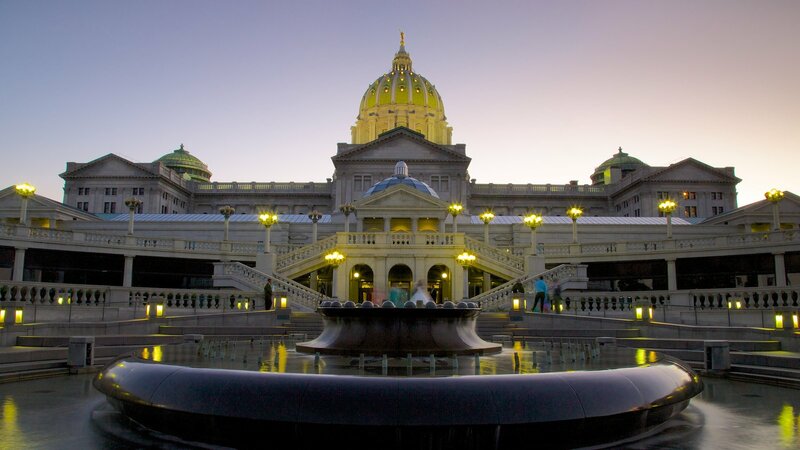 Pennsylvania has already acquired $90 million from the licenses that it has issued, and if the other four casinos apply as well, this will add tens of millions to the budget. Given that these casinos passed the deadline for a discounted price, they’ll have to pay $4 million per gaming category. Furthermore, the legalization of online gambling should help with limiting illegal gambling, which is already taking place on a large scale thanks to offshore companies. But it’s not so clear what’s in it for the casinos. The fees and taxes are monstrous compared to what other states are charging. However, the state has the interest to go easy on the casinos as their success will mean more money for the budget. The third player in the game is the companies that will provide the gaming platforms. Most casinos in Pennsylvania have already signed partnership agreements with the top names in the industry. Thus, online games, such as slots and poker, will be coming to the state from experienced companies, which should mean exciting tournaments and prize pools. As of the partnerships, there’s hardly a casino in Pennsylvania that hasn’t already partnered with one or several big names from the online gambling niche. For example, Mount Airy has been working with 888Poker since 2014 (up until now, only on a promotional basis) while Harrah’s Philadelphia’s parent company, Caesars, is also working with the European online poker provider. The online poker platform is already among the largest in the world, and with Pennsylvania’s new online gambling legislation, it will step into all four U.S. states that allow internet play. That, plus the high likelihood of Pennsylvania joining the shared liquidity pool means that 888Poker’s players will get to measure their skills against a sizable network of poker aficionados. The changes to Pennsylvania’s gambling laws are too recent to draw any conclusions. Nevertheless, opinions are all over the place. While some see a significant opportunity for casinos to tap into a booming niche, others warn that the steep taxation might limit not only the casino’s earning potential but consequently, what the state will receive as taxed money. In any case, it’s too early to predict what will happen. One thing’s for sure: online gambling presents much potential for both states and gaming operators. When the state does make a move, rest assured, it will be surer than the Phillies have been as of late. Great posting! I have been looking for information on online poker. This is really helpful information for me. Keep up the great work. From now on, it is up to each American state to decide to open sports betting on its territory. Given the financial manna that this could represent, it is highly likely that a very large majority will lift this ban. The long legal battle between Murphy's case and the NCAA (a long judicial history that began in 1992) is now over. And New Jersey won it. The Professional and Amateur Sports Protection Act, the name of the law that had prevailed since 1992 and prohibited states from offering the opportunity to bet on sports, was therefore declared contrary to the US Constitution. In the next 12 months, many online betting sites are expected to open their platforms and welcome hundreds of millions of American players. The regulation of online betting will, therefore, be managed on a case-by-case basis by each of the American states. The states concerned (all but Delaware, Montana, Nevada, and Oregon, 46 in total) will now have to revise their constitutions in order to legalize sports betting on their territory. New Jersey is the first American states to host players on online betting platforms. It has always been a pioneer in this sector and it was he who triggered the lifting of the ban. In 2013, New Jersey was already the first state to legalize online casinos on its territory.